Prepare to root for the bad guys when Amanda Waller sends her band of misfit DC Super-Villains on an all-new, action-packed secret mission in Suicide Squad: Hell to Pay, the next film in the popular, ongoing series of DC Universe Movies. Produced by Warner Bros. Animation and DC Entertainment, the feature-length animated film arrives from Warner Bros. Home Entertainment on Digital Download March 27, 2018, and on Blu-ray™, Blu-ray™ Limited Edition Steelbook and DVD April 16, 2018. 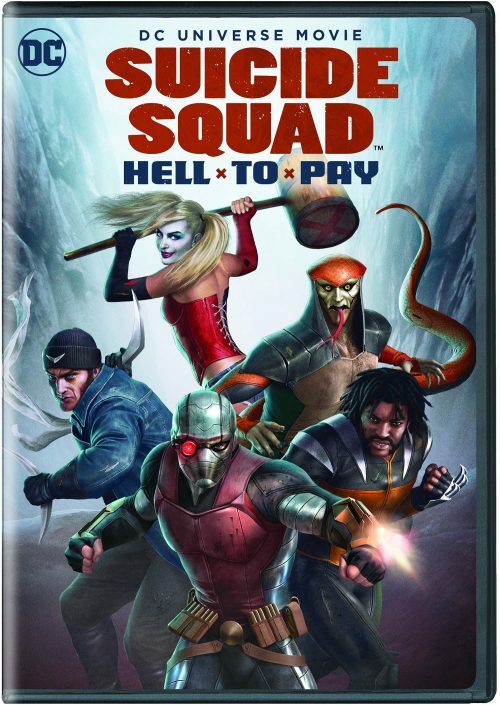 An original story, Suicide Squad: Hell to Pay finds Amanda Waller’s top secret “Task Force X” – Deadshot, Bronze Tiger, Killer Frost, Captain Boomerang, Harley Quinn and Copperhead – on a mission to retrieve a mystical object so powerful that they’re willing to risk their own lives to steal it. But the Suicide Squad isn’t the only group of villains seeking to possess the object. The race is on for the golden prize … and, to stay alive, second place isn’t an option.